The full-evening work on March 2, 2019 at Atlanta Symphony Hall is imagined as a cultural symphony that looks at how music and movement and the arts revitalize communities and provide people spiritual awakening. The evening is a poetic use of the stage as a framing mechanism for communal reflection of the people of Atlanta. mother | jump is conducted by Maestro Robert Spano, with the Symphony Orchestra, nine glo Moving Artists, and 100 Atlanta children. I offer the evening as an unearthing of innocence in these complex times. A commission of Atlanta Symphony Orchestra. Lauri constructs a score of tableaux vivants for Christoph Willibald Gluck's Orfeo, with Maestro Robert Spano and the Atlanta Symphony Orchestra, and performed by countertenor David Daniels, Atlanta Symphony Chorus, with scenography by visual artist Daniel Arsham. The project is directed by James Alexander. This project highlights the synchronicity and nomadic traces of Lauri's work. The Orpheo collaboration at Atlanta Symphony is in tandem with Lauri's choreographic mappings for Arsham's Hourglass exhibition at the High Museum of Art.A commission of the Atlanta Symphony Orchestra. A series of site-specific installations of new movement and music as an internal map that orients Maestro Robert Spano and five moving artists of glo in Historic Goodson Yard Factory Space. An inter-disciplinary performance to Finnish composer Kajia Saariaho’s score of the same name. Stallings choreographed conductor Robert Spano barefoot and as the work’s catalyst on a sod-covered stage of the Atlanta Symphony. Stallings aims to uncover a more human experience between classical music, contemporary dance and electronics. 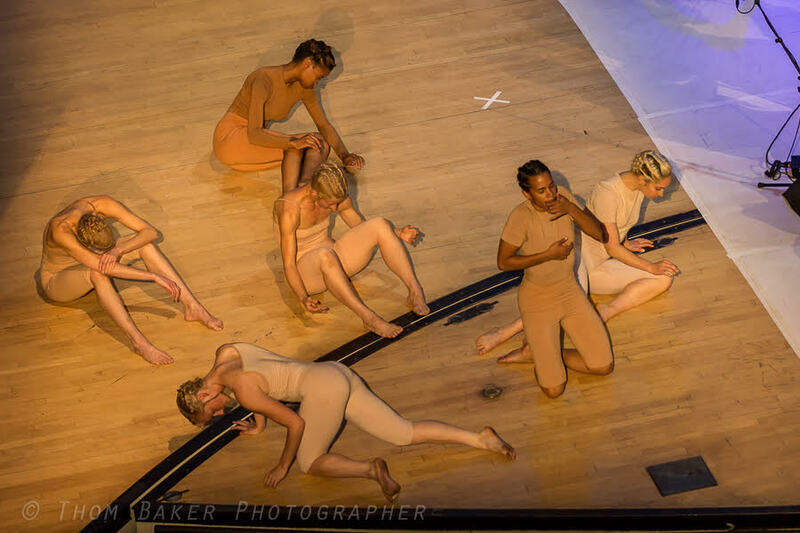 Created over a 5-week residency in Atlanta Symphony Hall, the performance was performed in the round to peel away at the traditional orchestra shell. The public entered through the stage door, and were given a choice of seating, on the stage or in the house, in an effort to dismantle the hierarchies associated with a classical performance venue.